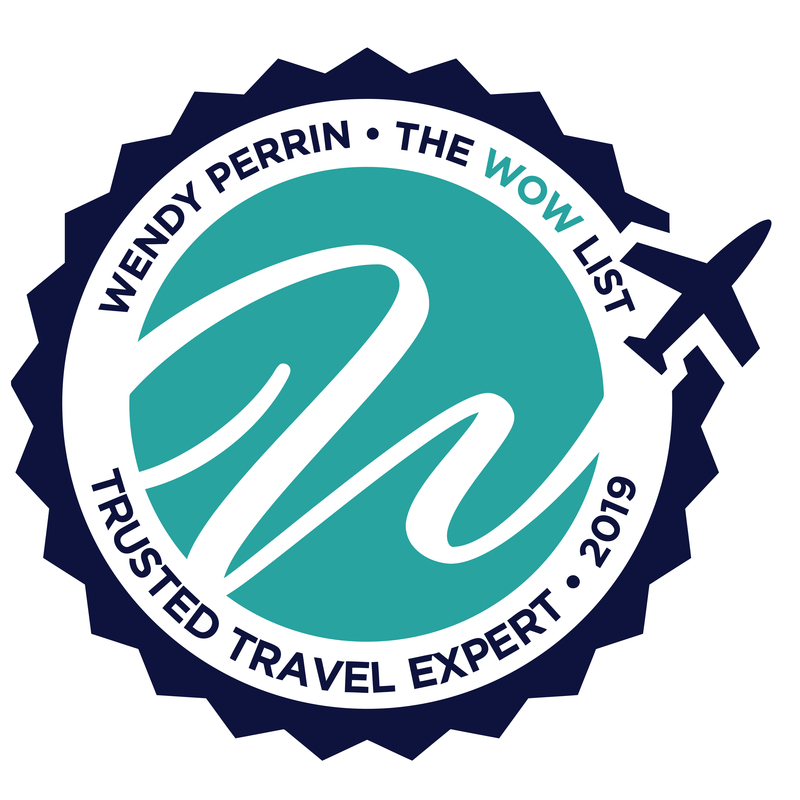 Marisol Mosquera is on Wendy’s WOW List of Trusted Travel Experts for her expertise and connections in Peru and Bolivia. The reviews below are from real travelers who’ve taken trips that were arranged by Marisol and monitored by Wendy. Don’t miss Marisol’s Insider’s Guide to Peru for food lovers and The Salt Flats Are Just the Beginning. The trip for my 31-year-old daughter and me was arranged by Mark Green at Marisol Mosquera’s agency, and it was wonderful. Everything ran very smoothly in terms of representatives of the agency and guides meeting us and taking care of us. The guides were great, especially our guide Javier in the Sacred Valley, Machu Picchu, and Cuzco. Machu Picchu was the top experience. I have a very bad knee (I’m getting a knee replacement next week) but with the help and encouragement of Javier and my daughter, and a walking pole arranged by Mark, I was able to do much more there than I would have expected. We climbed really high and then took a hike that involved even more climbing. We also loved the 48-hour Andean Explorer train, which took us to Lake Titicaca. We hadn’t even heard of the train but Mark suggested it. We liked Lima, which we had heard was gray and gritty, maybe because of our guide, and Arequipa, even though we had never heard of it before. The hotels were all really good, except for the one in Arequipa, but there was not much choice there. We liked Colca Canyon, which we also had never heard of before this trip. It was a very full and interesting itinerary for just 11 days, but that was right for us. The trip to Peru was wonderful. Mark Green on Marisol’s team was very responsive to all of my questions and accommodated all of our desires for the trip- for the most part. The tour guides, drivers and specialty providers that hosted us in Peru were excellent. They are culinary journey specialists. Highly recommend! This was the first trip for which we used a travel agency, and our experience could not have been better. Marisol and her team helped us with our 14 day trip through Peru, and everything from the places we saw to the hotels we stayed in, our expert guides, and all the travel logistics far exceeded any of our expectations. The trip was absolutely amazing! We would recommend them to anyone looking for a phenomenal trip to Peru. The guides, 3, were all so different and perfect in their specialty. Guides were a highlight of our trip. I am pretty sure we were upgraded at the hotel in Cusco because of Marisol and her team. Vehicles were clean with snacks and water and excellent drivers. Everything went smoothly with no problems. An amazing, outstanding trip from start to finish! We had an amazing, outstanding trip from start to finish! We did Lima, Sacred Valley, Machu Picchu, Cusco, Hiram Bingham Luxury train, Lake Titicaca, Colca Valley and Arequipa. All of our questions were answered and all of our requests organized promptly. The suggestions, organized tours and hotels were the best! Our guides were terrific and enjoyable to spend time with. EVERYTHING ran smoothly and nothing was overlooked….no small feat for a 16 day tour for 4 people! We had a wonderful time and felt very well cared for by Marisol and her team. The itinerary and accommodations were excellent, particularly Hotel B and Inkaterra. We ended up taking an earlier train from Machu Picchu back to Cusco as once we finished our morning hike there wasn’t a lot to do in Machu Picchu city. Fernando and Hugo were particularly wonderful and we very much enjoyed our time with them. Mark on Marisol’s team planned such an amazing trip for us and our daughters- he was always responsive to our needs and questions and I would definitely recommend using Marisol and her team! I confess I had a complicated wish list — start in the Atacama (Chile), spend time on the Salar de Uyuni (Bolivia) and end in the Galapagos (Ecuador). Fortunately, Marisol and Mark Green on her team were up to the planning task. They accommodated every request — including finding a star-gazing experience on the Atacama during the almost full moon (hard to come by) and setting up a three-day stay in an Airstream parked in the middle of the Salar de Uyuni. The “in-betweens” were mini-adventure unto themselves. From the Atacama to the salt flats, we drove through the Andes with stops to walk in a geyser field and see the Red Lagoon. So too, Bolivia to Galapagos leg allowed for time to see La Paz and Quito and learn a bit more about the history and culture of both Bolivia and Ecuador. All of our guides were terrific — knowledgeable and accommodating us if we had requests that were different from our planned itinerary. The M/Y Grace in the Galapagos provided the perfect ending to a well-planned trip. Marisol and her team definitely delivered an adventure where we could focus on the beauty and wonder around us. Simply put, it was amazing. Marisol was very accommodating to our group and all of our individual needs, patiently creating three separate itineraries for us with enough overlap to make us feel like we were on a memorable trip together. We’d like to give a special shout out to Adriana, our intrepid guide to Machu Picchu who was able to charm our entire group, with ages ranging from 3 to 73! We truly had a wonderful Peru experience. The range of activities, environments, and experiences was remarkable. We spent time in the Sacred Valley, Machu Picchu, a few days hiking the Andes (starting at 14,000 feet and ascending to almost 17,000), and finishing it off with a perfect Amazon cruise experience on the Delfin. All connections, guides, facilities, and food were great. We are so glad we used an in-country travel agent. The expertise was invaluable in light of the fact we had two families traveling for part of the time together, part of the time apart, and for part of the time, adult children having yet a third itinerary. Pleasing two families with ages 17 – 63 is an art, and we appreciated Marisol’s advice. We didn’t have any issues for her team to “fix” but were pleasantly surprised to have not just a car and driver, but the use of a guide and on-the-fly help with dinner reservations while hanging out in Lima before our overnight flight home. Marisol and her staff planned a fabulous trip that was so luxurious and authentic. We had a small budget but they still seemed to make everything first class. The staff is incredibly welcoming and accommodating. The hotels we stayed at were so unique and the experiences unforgettable! I will NEVER travel outside of the US without a service like this again! I had a stress-free vacation. Every aspect of our vacation was planned flawlessly. Mark Green, on Marisol’s team, coordinated trains, guides, hotels, restaurant reservations…all so I had a stress-free vacation. We spent a day with Chef Penelope in Lima, visiting the market, drinking Pisco Sours and cooking in her beautiful home overlooking the water. Truly a memorable experience which my entire family loved. We then flew to Cusco and Fernando was our guide for five days of exploring the Sacred Valley, Machu Pichu, and Cusco. I cannot recommend Fernando more highly. He was so knowledgeable, engaging, flexible and personable. He was able to arrange a doctor visit to our hotel at night when one member of my family was sick. Our driver Hugo kept our car spotless and there always was a supply of water and snacks. I’m looking forward to returning to Peru to visit other parts of the country, and I definitely will be using Marisol and Mark again! It was a masterfully planned trip, everything was excellent including the small details. I fully recommend them. My wife and I went to Peru in October, 2016. Since I have a disability due to multiple sclerosis (using a wheelchair often), I needed this trip planned to the 9s by experts extremely familiar with the terrain, streets, hotels, etc. It was. We worked around challenges and the trip turned out to be fantastic. Highly recommended. Thanks for the recommendation, Wendy! My husband and I traveled in Peru for 2 weeks. We had a wonderful time on our trip which was planned by Marisol and her team. Everyone was extremely attentive and helpful at all stages. My husband and I have numerous calls with our agent Mark Green during the planning. Mark made sure that our concerns were addressed and our suggestions were considered and incorporated in our itinerary. Raul warmly welcomed us at the Lima airport upon our arrival. From that moment on, we were well taken care of by guides and drivers at various locations. We spent an educational and fun day with Ronald in Lima. Ronald’s knowledge about the architects in Lima is incomparable. We were so grateful to have Leo as our guide in Sacred Valley, Macchu Pichu, and Cusco. His love of the country, Cusco region, nature, and the culture is contagious. We loved our stay at the Suasi Island. In Mancora, we stayed at K! Chic (best boutique hotel), recommended by Marisol’s team. We could not have done the trip with such thoughtful planning. At the end of the trip, there was a little hiccup with the hotel in Lima, but Marisol’s representatives immediately took action to ensure my last day in Lima was taken care of. Overall, we would not hesitate to recommend Marisol and her team to anyone who wants to visit Peru! Marisol and her team were terrific from beginning to end. Marisol immediately replied to my inquiry—within hours, if I remember correctly. We then set up a Skype call, which was phenomenally helpful. She asked me tons of questions about my preferences, the group I was traveling with, and gave me incredibly helpful and honest feedback about what was doable—and pushed me to do things I hadn’t considered. For example, this was a special trip for my niece just graduating from high school—about to study marine biology in college—so Marisol steered me toward the right Amazon basin area I hadn’t even considered. Truthfully, I was a little worried about her passing off her notes to a colleague, but it turned out flawless, seamless, and Mark Green was tremendous. He answered all of my questions, made adjustments so quickly as needed, kept me advised the entire way. The materials they delivered were superior—and then waiting for us on arrival. My husband, niece, and I just returned yesterday from Peru and wanted to send a HUGE GRACIAS to everyone for making this trip one of a lifetime! Everything ran so smoothly from beginning to end—and there’s no way I ever could have constructed such a wonderful journey. For sure, it was packed, but we came back feeling we’d seen such a diversity in Peru and, truthfully, we look forward to coming back and exploring more. The entire team deserves our appreciation. They knew just how to counsel us and talk us through what would work for us, given our interests and time constraints. It ended up being a perfect balance of wildlife, culture, adventure and a bit of relaxation. And although the weather was terrible during our one-day Inka Trail hike, with rain & clouds obscuring Machu Picchu from the Sun Gate, we still wouldn’t change a thing. What a true adventure. I can’t thank them enough. And I will of course recommend and tell everyone I know to use them—and to once again trust a Wendy Perrin specialist. Over the years, I have used and vetted many of Wendy’s travel specialists— and, no doubt, Marisol and her group are absolutely top of the list. Marisol was fabulous. Seamless transfers, great tour guides, great restaurant and hotel choices. We have traveled with Marisol’s team twice (once to Machu Picchu / Cusco and the Amazon and a second time to the Galapagos) both times were amazing! They deserve their excellent reputation! I had a child get sick in Cusco and they whisked us to a hospital and also had a doctor waiting for us in Iquitos as well as on the boat in the middle of the Amazon to check on our child! They escorted us to every flight and hotel. Our hotels and guides were spectacular- and they personalized each itinerary for our family of six (which is not easy with 4 children! )… and everyone loved it! You will be thrilled that you booked with them- truly best of the best! I made arrangements for travel from Lima to the Cusco area for 3 days—a quick trip, but I wanted to see Machu Picchu while I was in Peru. All arrangements were handled by Marisol’s team and the trip went flawlessly. At first I was a little surprised by the cost, but reality set in and I came to terms with the cost of traveling solo. That being said, I was extremely pleased with the itinerary prepared for me, and with my guide and driver. It was like visiting the Sacred Valley and Machu Picchu with a friend. I wasn’t trapped in a large tour group; we could go where we wanted and vary the itinerary as I desired. Also, I learned so much from my guide about the history and culture of the area. It was the best decision I made to use this Travel Expert. It was a very memorable trip. Peru was on our “bucket list” and we naturally looked for the person recommended by Wendy Perrin to plan our adventure. Marisol Mosquera and her associates, fulfilled all of our expectations, and MORE. Most of our pre-trip planning was completed in detail by Cecile Febre. She listened to our wishes, followed through immediately, was totally available through email or telephone, and created a wonderful and diverse itinerary. On landing in Lima, Giovanna Barnuevo became our contact person, and she was AMAZING! Our guides were terrific, so well versed in their localities and in Peru in general. Each guide had excellent English and really made us feel at home in their city or area. I had thought to cruise the Amazon on the Aria, but Cecile convinced us the Deflin I was the way to go, and she was totally correct. This four cabin floating guest house had a top notch guide/naturalist in Sandro and the most amazing food you would taste anywhere in the world, let alone the Amazon River! Each of the lodges, hotels, where we stayed were lovingly chosen based on our input, and each was better than the last. On reaching Arequipa my husband became ill. The guide and hotel sought medical support and we continued on to the Colca Canyon and Lake Titicaca. After only one of our scheduled four nights at this beautiful lake, it became apparent my husband was too ill to stay there. By the next morning Giovanna had arranged for a guide, a driver to transport us to Juliaca, and a flight to Cusco, where we hoped my husband could rest and restore his health to complete our itinerary. The doctor was called to the beautiful Belmond Palacio Nazarenes, my husband was transported to the local clinic, and upon hearing he was so ill that they wanted to keep him overnight, we determined to return to the United States. Again, Marisol’s group did everything possible to support us in this decision and facilitate our early departure, even though this undoubtedly caused them extra work in canceling lodging and guides. When we are able to complete our itinerary, at some future date, we will return to Marisol and her team for there can be no better travel specialists to fulfill our dreams to see the rest of Peru, including Machu Picchu. We will look forward to having the engaging and helpful Raul meet us on landing! We recommend you contact Marisol, for Peru is a beautiful country with a rich history, tempting cuisine, and beautiful people. Way to go, Marisol!!! Thank You for everything.